Template Wizard Or HTML Editor. Smart and easy way to use and manage template for your eBay Listings. Third party template support, No Restriction on use. Time Saving : Save your time to listing creation time that could be better spent increasing sales and growing your business. We selling eBay listing templates for 10 years on our website www.eBaytemplatesshop.com. 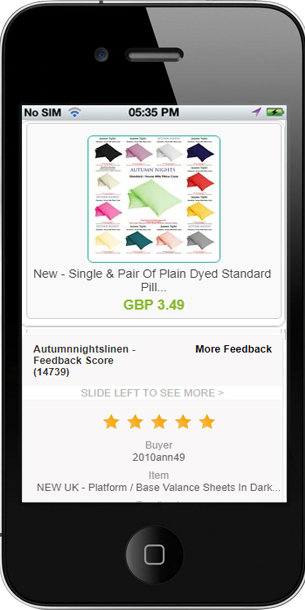 We provide the best listing design template products for our eBay customers. We make your Custom listings template distinctive and attractive using our eBay design template. We provide high quality designs and create an attractive look to showcase your products. Our product is unique in the marketplace; the templates we produce are fresh, modern and most importantly professional. Why eTemplateWizard / HTML Editor? We have surveyed our customers and found that 85% of our customers find our templates attractive and they have been effective in generating additional sales. Many our customers requested if they can manage the listing template easily without editing HTML code and copy/paste image links / URL into template; takes too much time so we have created this application which easy to use and need to configure template only once and images can be access from Google Drive, FTP hosting or even from eBay listings. If you not sure about service then please try our 7 days trial package. *Free Trail : In free trail package you will receive 1 free template for testing, if you happy with service then you can continue with subscription for full access. *Custom Template option : Custom template option provide you option to add third party HTML templates or your own design template. *FTP Plugin : FTP Plugin allows you to get product images from your own website hosting / server. Rather than uploading product image on Google drive and other free hosting website. *eBay Cross Gallery Plugin : This plugin will display random selected 20 listings from your eBay to on listing template. Redirect link will be linked to your eBay store. *eBay Feedback Plugin : This plugin will display random selected 10 postive feedbacks from your eBay to on listing template.